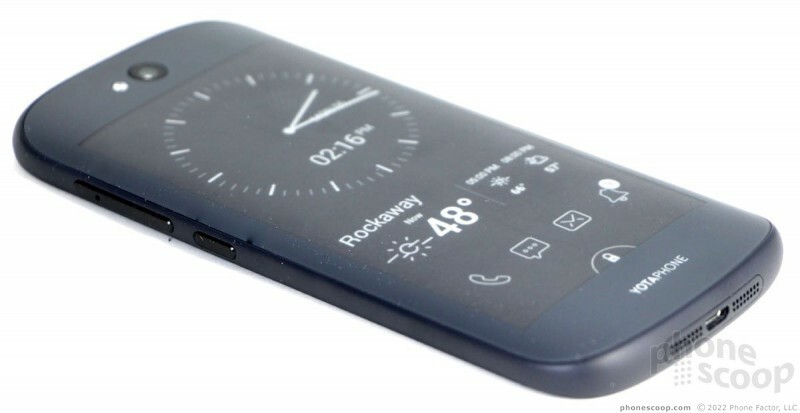 This quirky Android smartphone has two screens, one on front and one on back. 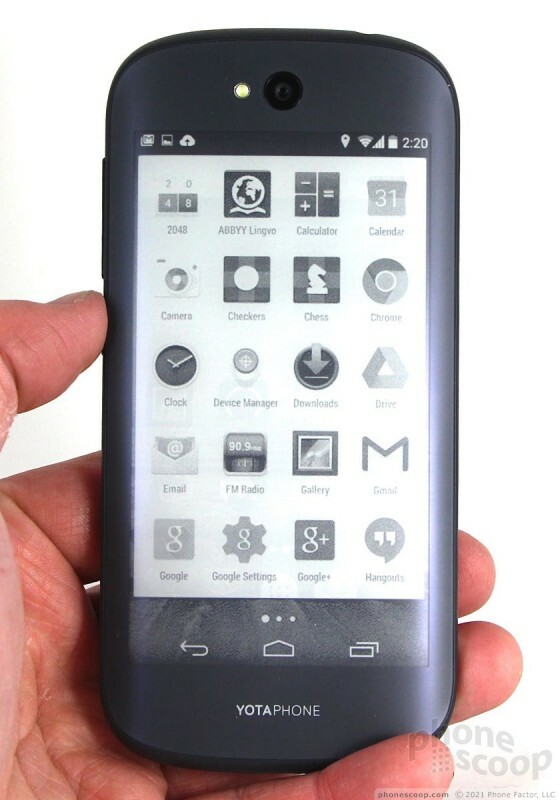 The second uses e-ink to help conserve battery life. 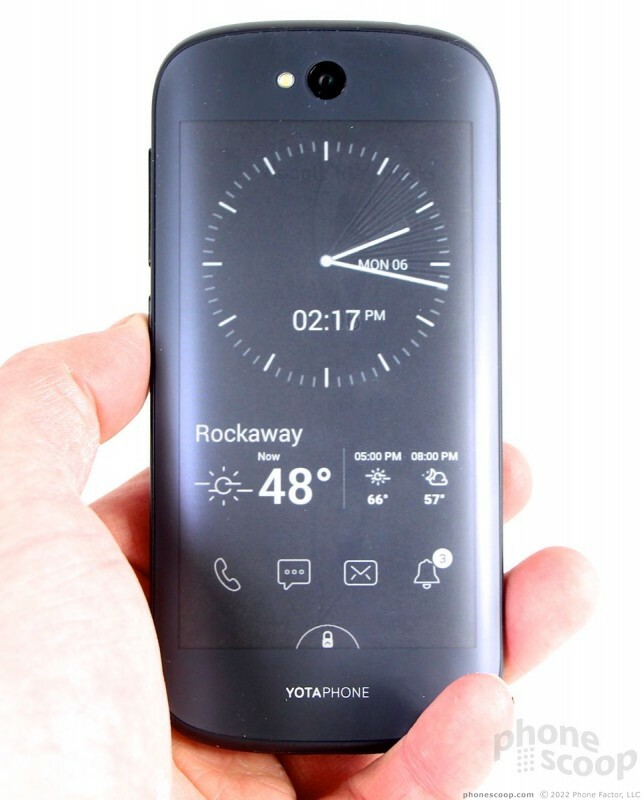 If you're into weird stuff and want a phone that goes the distance, the YotaPhone 2 is a conversation-starting option. 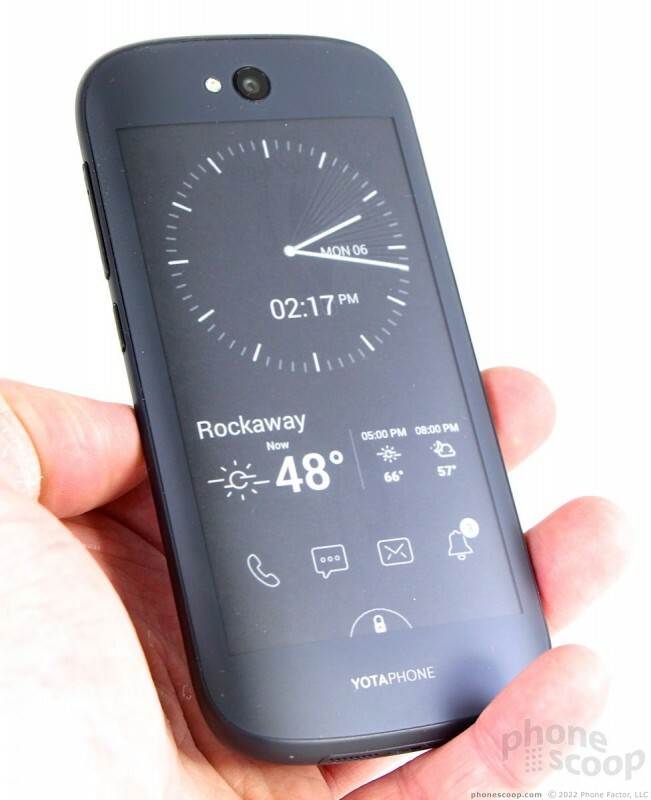 The YotaPhone is wholly unique, and therefore rather easy to classify. 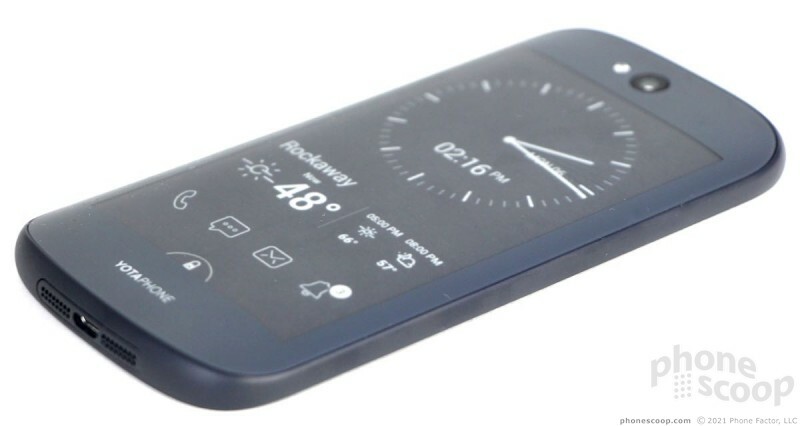 This two-screened device is for people who want to maximize battery life and perhaps spend time reading on their phone. 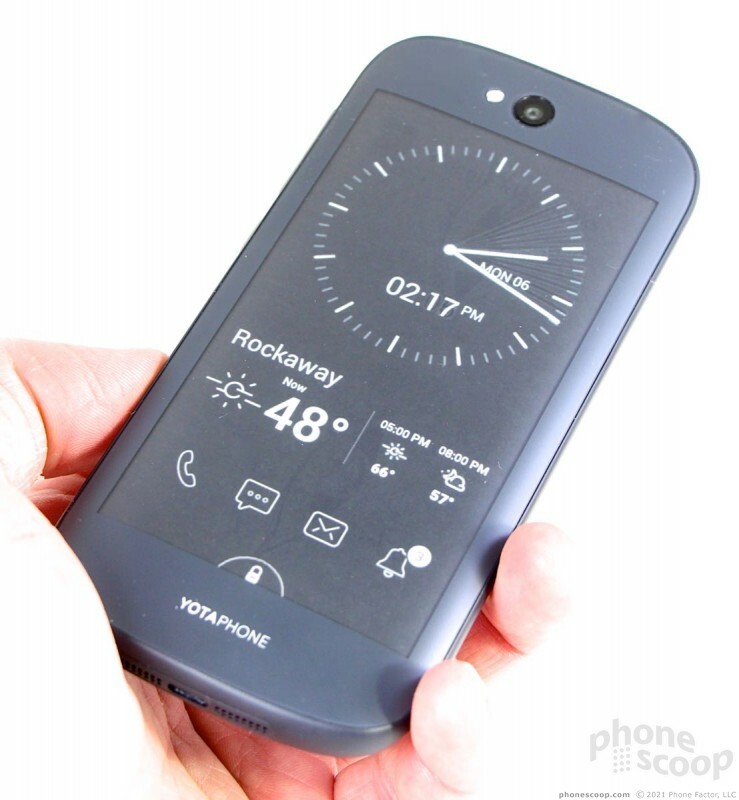 If you're an avid consumer of books and magazines, or simply want to get the absolute most from your phone's power source, the YotaPhone 2 is worth considering. 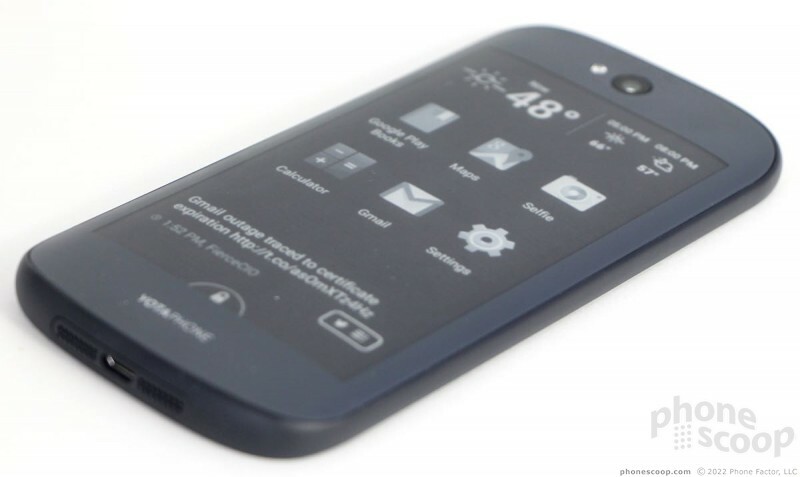 At first blush, the YotaPhone 2 is rather plain looking. It has simple, but classy lines that give it a rounded profile. 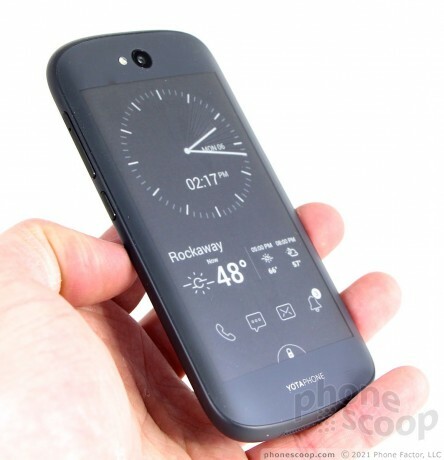 I like the curved corners and the clean way the sides edges meet the front and back surfaces of the device. 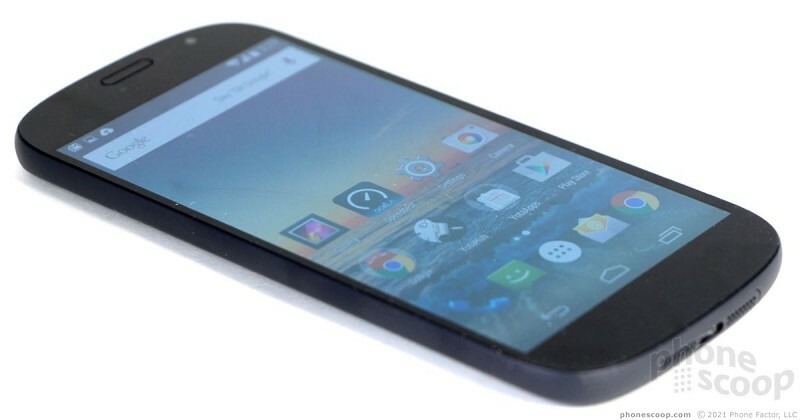 From several feet away, the Y2 looks like pretty much any mid-range Android smartphone. 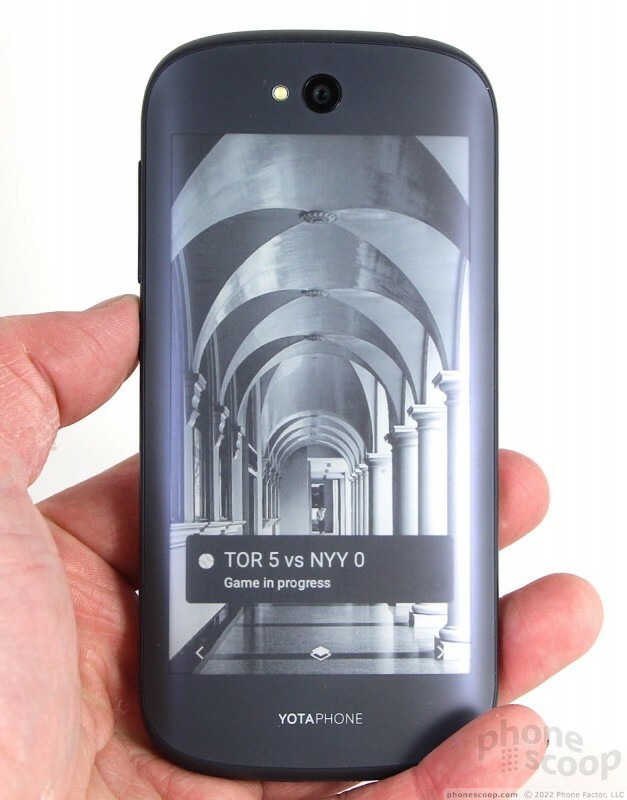 The device has a black face, but the side and back surfaces are a dark gray that I rather like. The front panel is made of glass, while the sides are formed by a polycarbonate frame. I find the shape, color, and texture of the frame pleasing. The frame is thinnest at the left and right side edges. 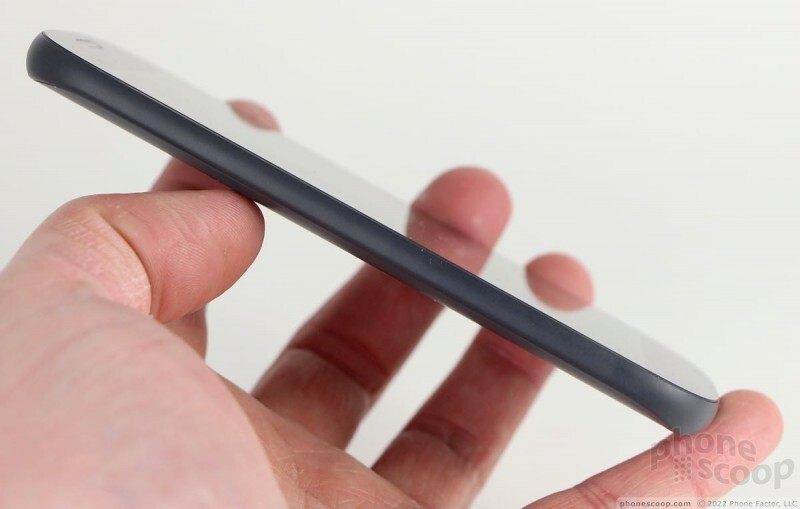 The back surface is formed from Gorilla Glass 3 and it has a rougher texture than the front. The look and feel of the back screen is entirely different from the main display. That's by design, so you know immediately which way you're holding it. The Y2 is sized well. 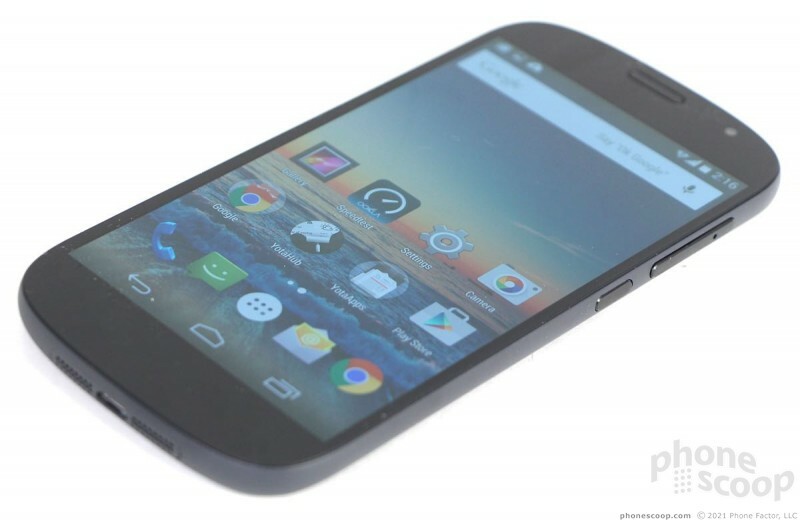 It is about the same height and width as the second-generation Moto G. I'd call the weight just about perfect. It's not too heavy, nor so light as to feel cheap. 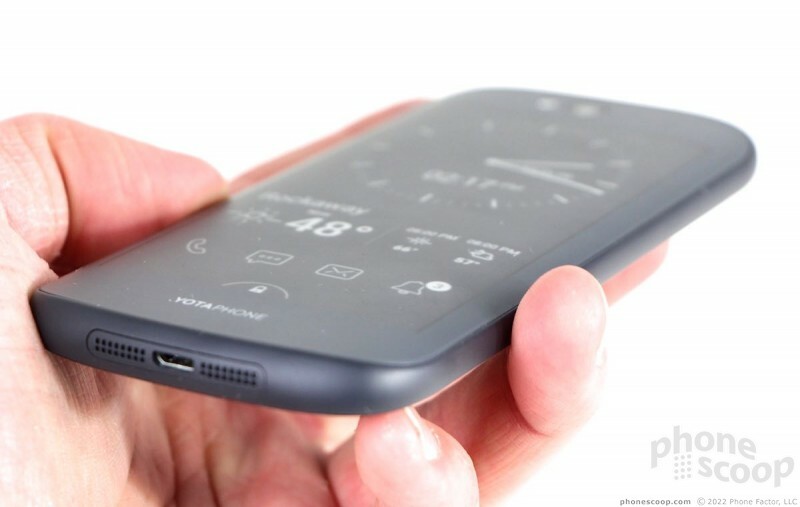 The back surface tapers a bit toward the edges, so the Y2 fits snugly in your palm. I had no trouble reaching the entire screen with my thumb when holding the phone naturally. The Y2 will easily slip into most pockets. 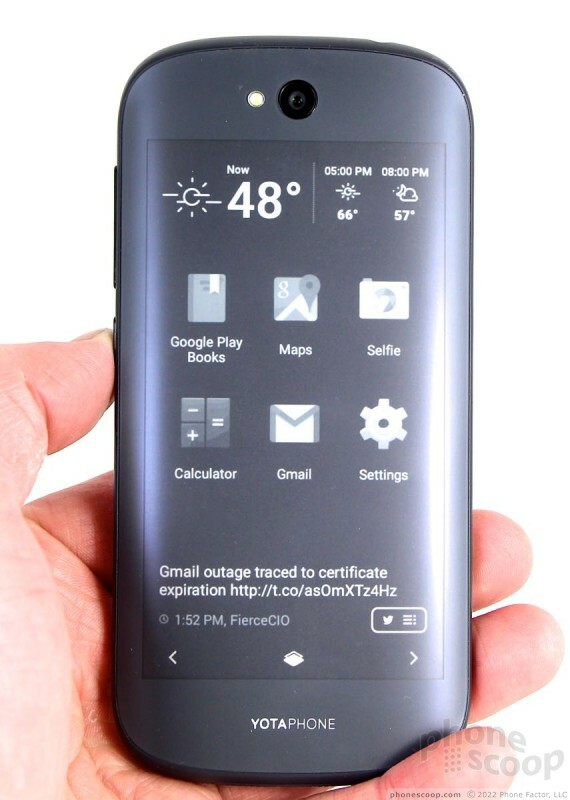 As noted, the front is solid black glass. The glass runs all the way to the edge. 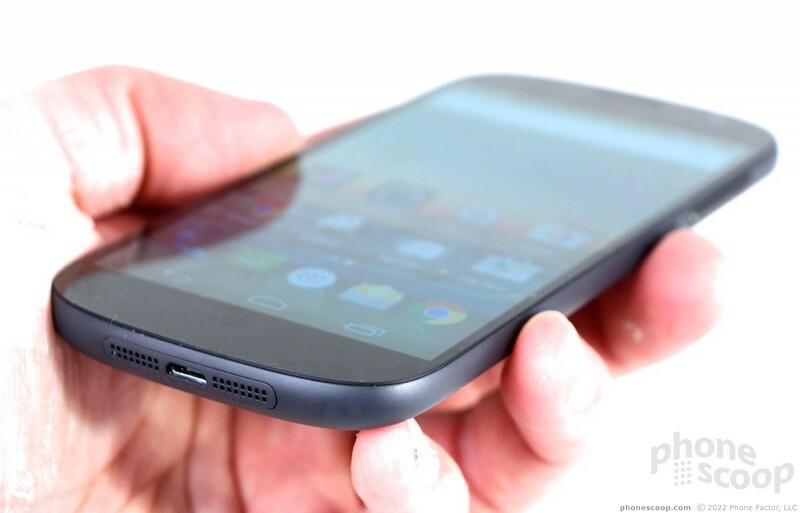 There's no real rim protecting the screen; it's entirely flat along the front surface. There are no logos, nor any physical or capacitive buttons. The Y2 relies on software buttons that come and go as needed and they work just fine. It's difficult to spot the speaker and user-facing camera, but they are there. The left edge is perfectly clean. It's an attractive, smooth line uninterrupted by any buttons or controls. 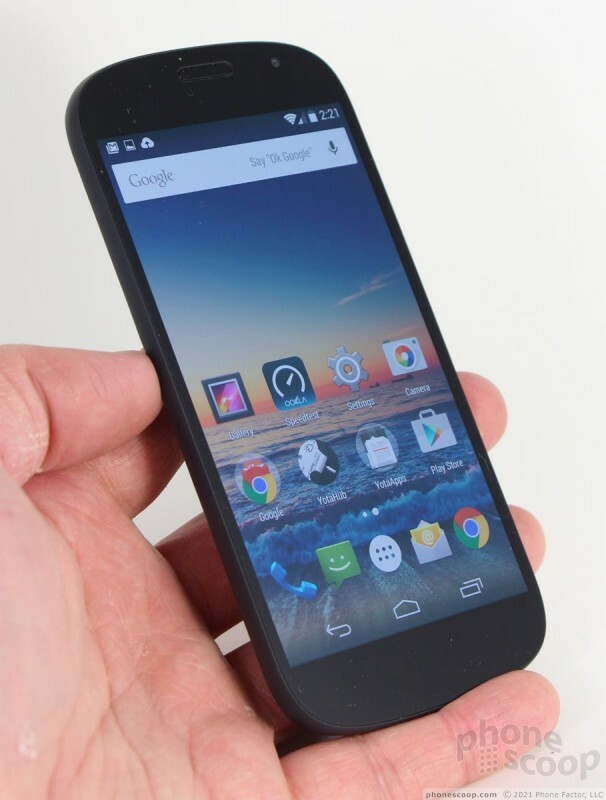 The screen lock button and volume toggle are placed on the right edge. 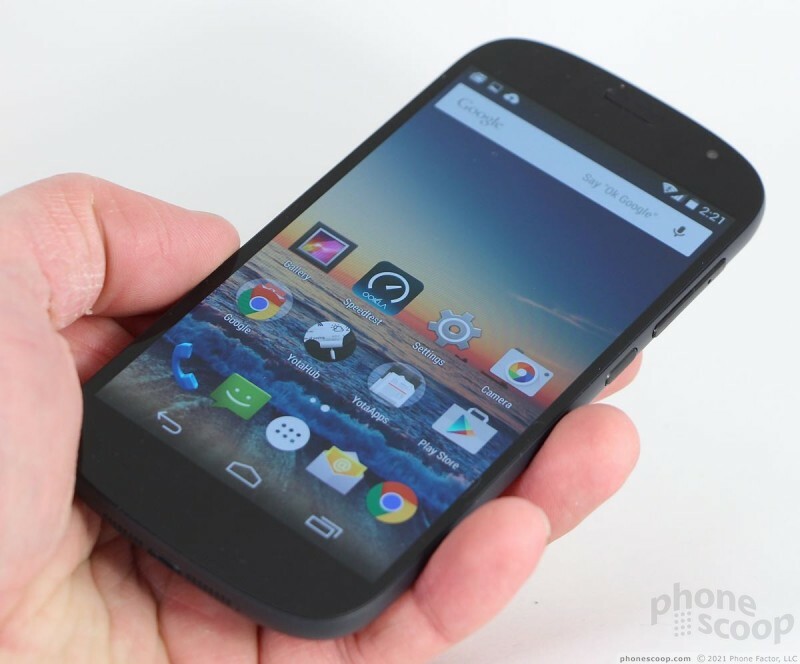 The screen lock key is rather small and has just enough of a profile that it can be found without much effort. I wish it were placed a bit further away from the volume toggle. 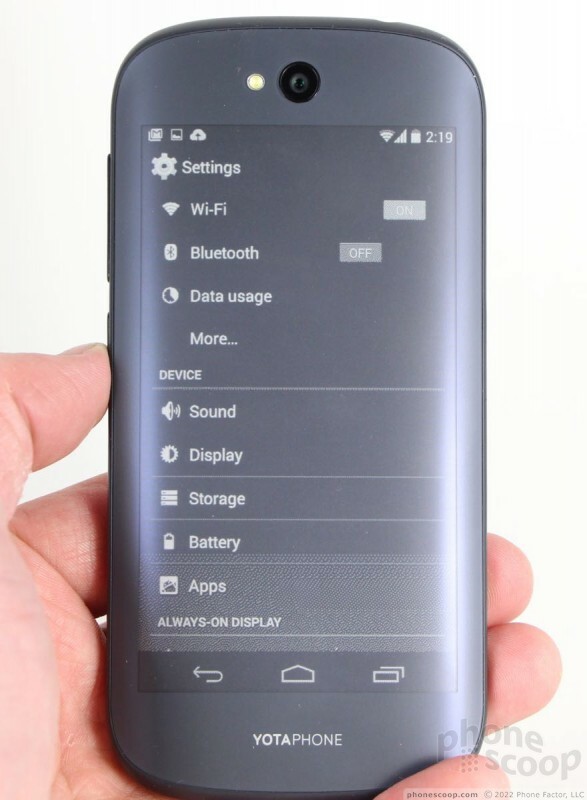 The volume toggle doubles as the SIM card tray. We've seen this before on other phones, like Motorola Droids for Verizon. 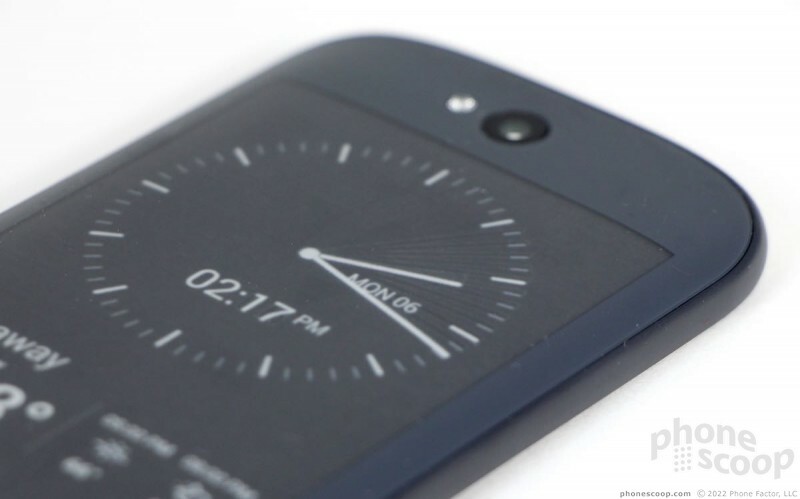 YotaPhone's execution could be a lot better. I found the toggle was hardly functional. Travel and feedback are practically nonexistent. Moreover, I don't like the way the toggle/tray sits in the frame. It feels loose and cheap. You can eject the assembly with a paperclip or SIM card tool. The phone doesn't have a dedicated physical camera button. 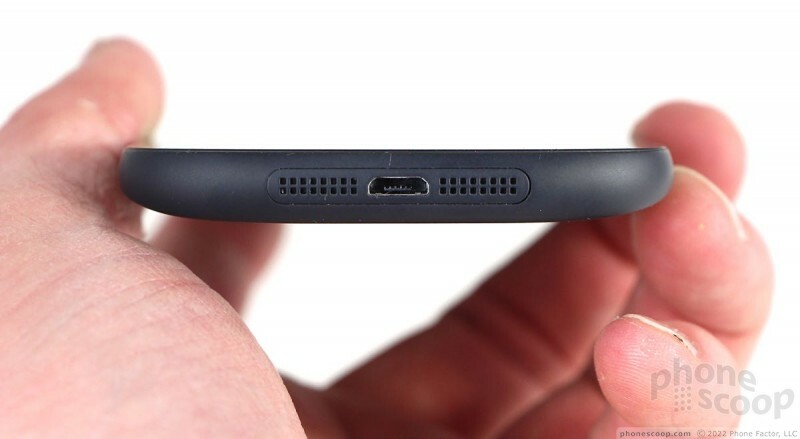 You'll find the headphone jack on the top edge of the Y2 and the microUSB port on the bottom. The USB port is flanked by holes for the speakerphone. 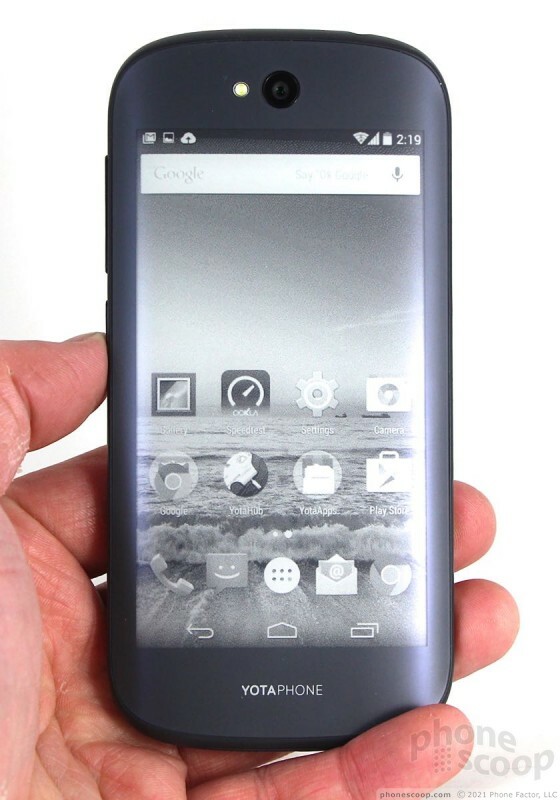 The back is mostly covered by the e-ink screen. The camera module, complete with LED flash, is perched near the top edge. The phone is sealed up tight; there's no access to the battery, nor is there a place for memory cards. 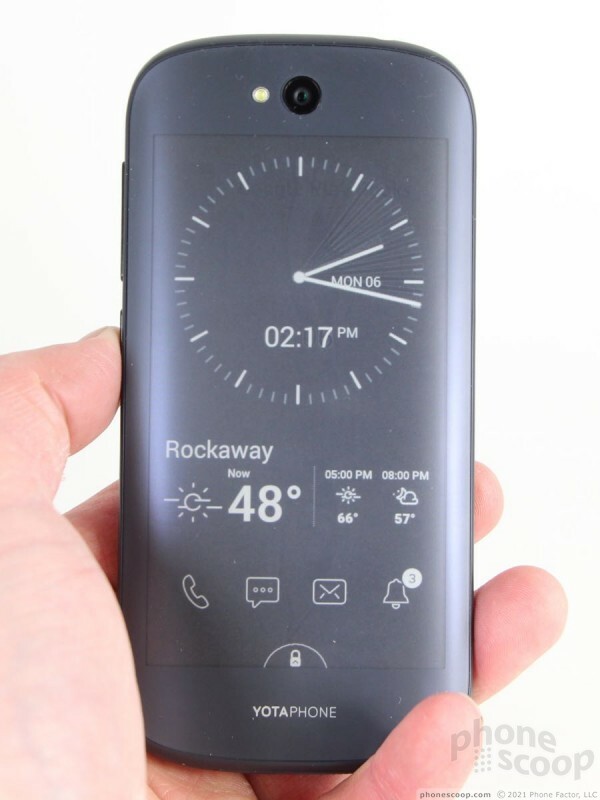 The e-ink surface has a matte finish to it, so there's no worry about getting fingerprints on it. The Y2 isn't a perfect handset, but it's a perfectly nice one.